Credit repair is accomplished through a two-prong approach: resolve negative items on your report while adding positive ones. Potential creditors would like to see that you can be responsible with different types of credit. Show a good record with revolving credit by applying for a new credit card and using it wisely. To show that you can be trusted with a long-term loan, an installment loan is necessary. 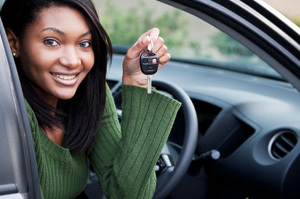 An auto loan is the perfect vehicle for a number of reasons, as long as you manage them well. A car loan is an installment loan; that is, a lump sum loan paid back over time. Creditors like to see a combination of revolving and installment loans when determining your credit worthiness. If you have good results with a car loan, it shows that, when it is time for a home purchase, you are more likely to be responsible with a mortgage. Go to your bank or credit union to see what sorts of rates they are offering on auto loans, as well as seeing what rate the dealer offers. You may get a better deal by doing some legwork. And, do not forget that interest rates are often negotiable. A car loses much of its value the second you roll it off the lot. Because of this, it makes sense to look at ways to lower your outlay, since this is money you are unlikely to recoup. Look at new cars, but also consider used cars that are just a few years old. You will find that these sell for thousands less than new and are often still under warranty. Buying cars that were formerly leased or even retired rental cars is another option. If you are approved for a higher loan than you anticipated, do not give into the temptation to buy a more expensive car. Larger loans mean higher payments. Aim for a vehicle that is within your means and satisfies your needs. The ideal auto loan is one with a low monthly payment and no pre-payment penalty. A low payment is important so that you do not wind up overextended. And, it means that you can pay the loan off more quickly by making additional payments. When you pay a car loan off early, it can save you hundreds in interest payments, and can even increase your credit rating more quickly. Car loans are typically easy to refinance. This means that you can lock in a lower interest rate once you improve your credit. You may also be able to reduce your interest payments if you have more cash on-hand to make a larger down payment on your refinanced loan. For more information on how adding an installment loan can boost your credit scores contact our office at 617.265.7900 or click here to request a free consultation.